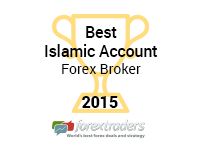 OctaFX is proud to announce that Forex-Awards.com awarded us the “Best Forex Broker in Europe 2015” title. Since the beginning of 2015, more and more European traders have been opening their accounts with OctaFX, and this award adds to our growing European presence. Traders voted OctaFX as Best International broker 2015 in FX Empire awards!